It gives me great pleasure to introduce you to Sir William Romney’s School. Proudly comprehensive, we provide an aspirational, vibrant and supportive learning environment into which we welcome children of all academic abilities. We understand that every child is unique and all our staff are committed to helping each one develop their independence, resilience and self-esteem; offering them every available opportunity to reach their full potential. 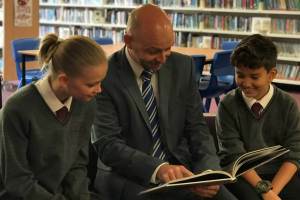 As reflected in our exceptional GCSE results, we have high academic expectations of all our students and offer a creative and aspirational curriculum whilst always respecting traditional values by demanding high standards of behaviour, attendance and appearance. Sir William Romney’s has an excellent reputation as a caring and inclusive school where every child is known as an individual. We firmly believe that every child can achieve more than even they believe is possible, supporting all students to make outstanding academic and personal progress. 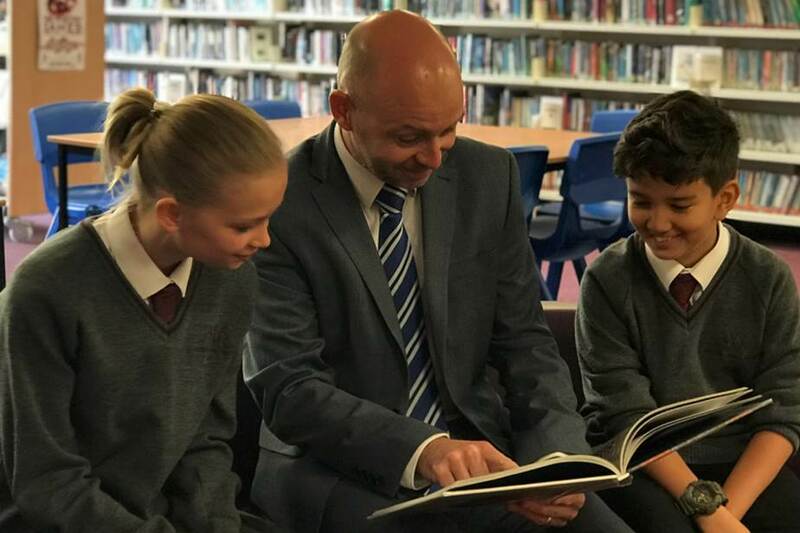 I hope that this website gives you a sense of our values and an insight into what the school experience is like for students at Sir William Romney’s. If you want to find out more then please do not hesitate to contact the school to arrange a visit. Click here to download our 2016/17 Prospectus, designed to give you a flavour of our school, we hope you will visit us personally to learn so much more. Our broad curriculum covers all the subjects you'd expect, as well as Horticulture, Childcare, Personal Development and a wide range of Languages. Students are encouraged to fully participate in our marvellous opportunities in sports, the creative arts, the Duke of Edinburgh Award and a wide range of clubs and activities. Our newsletters are published every two weeks. Click here to sign up for regular information on news and events, as well as to read through our latest editions. SWR Leisure offers a range of activities designed to suit all ages and abilities. We provide the local community with a quality facility for individuals, clubs and organisations. Our Students have the opportunity to go on many school trips throughout their time at SWR. Recent Trips include a skiing trip to Zell am Ziller, Austria. 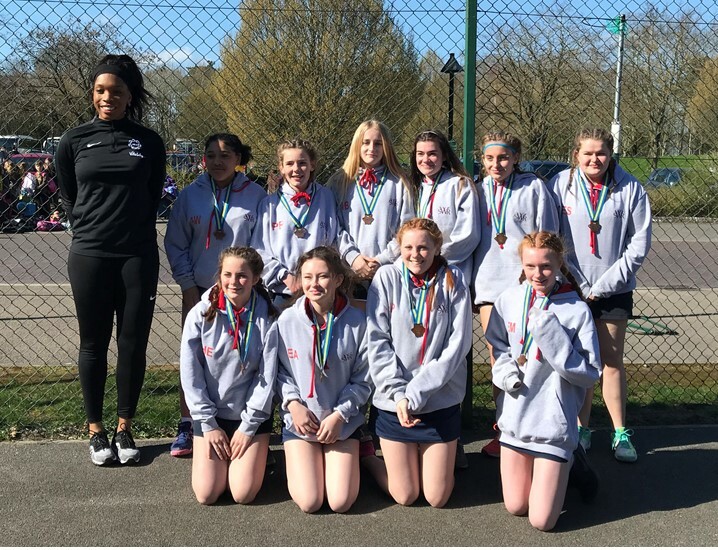 Our Y7, Y8 and Y9 netball teams enjoyed a weekend competing in a PGL netball tournament. Mrs Oakley, Mrs Sharp and Mrs Brown were extremely proud of all our teams’ collaboration, resilience and teamwork. Congratulations to all our teams. A special mention must go to our Y9 netball team (below) for finishing in the bronze position, only losing to the eventual winners of the overall tournament. We are excited that World Book Day is only days away and we have a number of events to inspire students to have fun with books. On the 7th March, students are invited to dress to dress up as their favourite character from their favourite book. Many staff will also be involved and prizes will be awarded for the best costume at lunchtime. We are also very pleased that the Yellow Lighted Bookshop will also be hosting a ‘pop-up’ book sale with all the latest authors. All students will be given a £1 World Book day voucher to contribute towards purchasing a book and students are encouraged to bring in a little extra money to help with any larger purchase. Our English Department have also been running a ‘mini-saga’ writing competition which will be judged on World Book Day itself. Entry forms are still available from the library and a £5 World Book Day voucher will be awarded to the winning entry. We would also like students and staff to enter our ‘get caught reading’ competition by bringing in a photo of them reading in unusual places. Entries can be posted in the box available in the library or to Mrs Eveleigh or Miss Trowell. Happy World Book Day, we cannot wait! I would like to take this opportunity to introduce our recently launched Social Spaces Project. This is an exciting opportunity for our SWR community to come together to develop a number of social spaces for the benefit of all students across the school. At Sir William Romney’s School, we currently have some large grounds in school and a little hidden jewel that is the horticultural classroom, which is helping nurture and develop some of our KS4 student’s curriculum. The rationale of getting involved with the Social Spaces project and specifically with the external area has been to spread the benefits of green living to all of our students. In order to achieve this, we have focused on 4 key external areas, which, we hope, will help care for our students’ well-being and our impact on the environment. At Sir William Romney’s School, we firmly believe that lunchtime and communal dining in a modern and inviting space is vital to students’ wellbeing. Students are indeed passionate about their dining space and ensuring that it is healthy and environmentally sustainable. Furthermore, our new café should also be modern and provide students with a mature café environment that will encourage students to take healthy eating options throughout the school day. In order to achieve this, we have focused on 4 key aspects which, we hope, will achieve these aims for our students. This is an incredibly ambitious project that not only involves creativity but also requires project management, collaboration and resilience. It is expected that the entire project will last for twelve months. Therefore, I am delighted and very grateful that a team of committed, energetic and passionate parents are now fully supporting both projects by using their expertise in fundraising or leading the design aspects of both projects. I have been Headteacher at Sir William Romney’s School for almost two and a half years. I am incredibly proud of the students and staff in our school and we’re going from strength to strength. Indeed, our GCSE results are exceptional and we enjoy a growing reputation across the local area. We have high aspirations for the school not only in terms of academic achievement but also in the community and surrounding environment. I want every child that comes through SWR not only to achieve their maximum potential but I also want them to feel mentally secure, supported, and inspired by their surroundings. Together we need to extend our focus to the school’s external environment and give our current students and future generations something that they are really proud to be part of. As I am sure you appreciate, this aspiration is dependent upon our entire community working together to achieve these goals. Thank you in advance to our students, families staff, governors and the wider community for supporting Social Spaces. I am so excited about what we can achieve together!